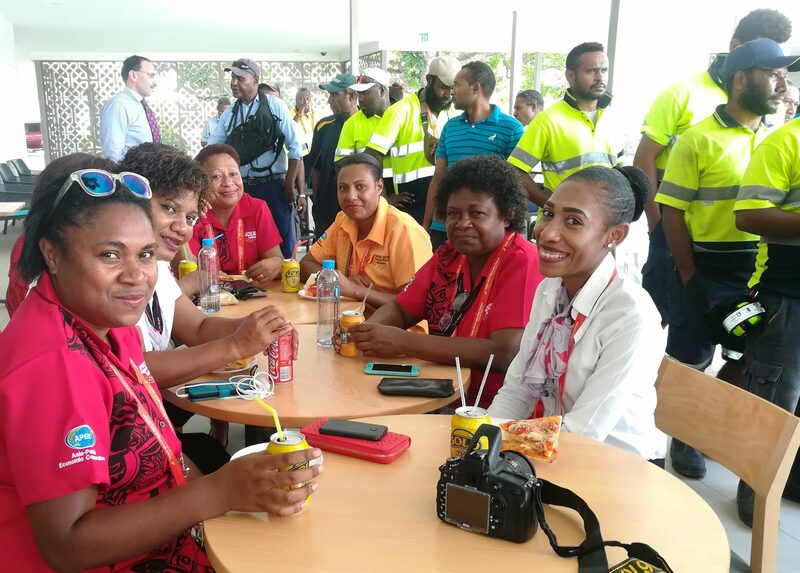 Air Niugini Management has congratulated all staff involved in the busy Asia Pacific Economic Cooperation (APEC) airport operations at Port Moresby’s Jackson’s International airport over the last few days, which ensured an excellent delivery of this important world event. A lunch was organized today in appreciation of the effort of all staff involved; Airline Operations, Aircraft Engineering, Aviation Security, Inflight Services, Ground Service Equipment, Operations Control and Air Niugini Cargo. Air Niugini’s representative on APEC and General Manager, Corporate Services Mr Marco McConnell on behalf of the airline’s Board of Directors and Management thanked everyone for a job well done. Air Niugini also acknowledged the Aviation Sector Working Group Lead – National Airports Corporation(NAC) and all the other organisations that assisted with the overall airport coordination during APEC. We are all very proud to be part of the aviation working group. A total of well over 100 extra foreign aircraft movements, carrying up to 10,000 passengers and hundreds of tonnes of cargo, were handled in Port Moresby since last week for APEC.